An old floor can shine like a mirror… we can transform your building, all it takes is patience, skill, and a clear run after hours! 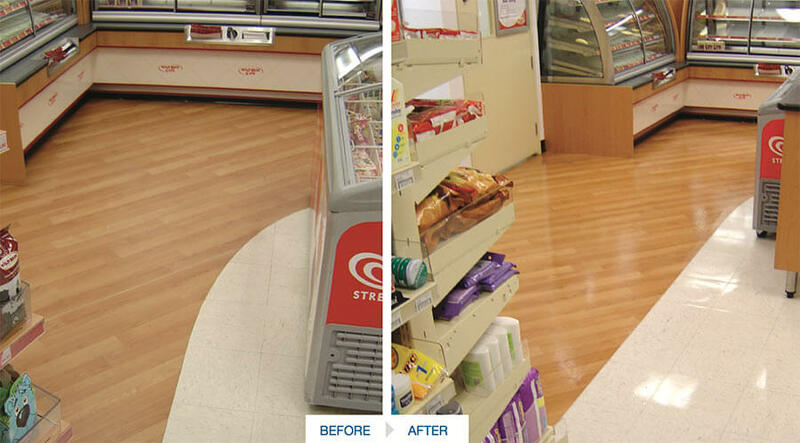 Shiny, clean floors are easy to maintain, and your premises gets a lift without a refit. Improved hard floor surface presentation boosts brand image and creates respect for your premises. Stripping removes ingrained dirt and old polish. With 2 coats of sealer and 3 coats of high quality polish, we provide our customers with a top quality finish and a longer lasting shine. Surfaces in poor condition can be carefully restored and high traffic areas can have periodic reapplication of protective polish and machine buffing to bring back the shine. Our ongoing maintenance plans not only keep your floor in great condition, but also save you money and extend the life of your flooring surfaces. Dry mopping with high-tech microfibre mops maintains the cleanliness and hygiene of your floors without the need for chemicals. New extra wide dry mops cut the time that is taken to maintain large floor areas. Crest’s wet mopping also uses microfibre mops and environmentally responsible chemicals to create cleaner floors without creating a toxic environment in your workplace. 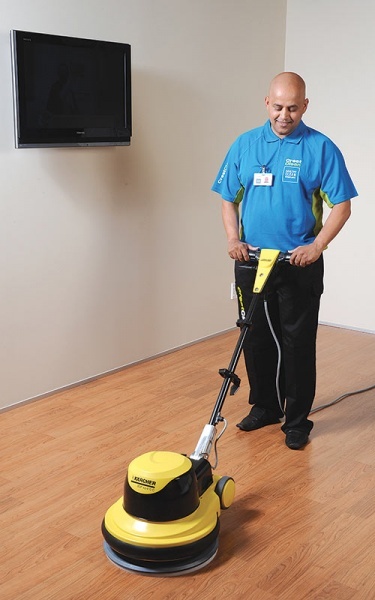 CrestClean has trained specialists in Hard Floor Care. Our operators attend an intensive hard floor care course that is provided through Master Cleaners Training Institute. Candidates learn the specialist skills of floor care and restoration, with practical tips and instruction on the safe use of equipment. This hands-on practical training sets the standard for the commercial cleaning industry.